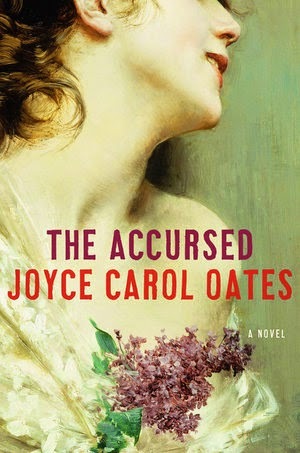 Nonetheless, The Accursed is a pyrotechnic, clever, genre-bending novel: a Gothic pastiche, an historical novel, and one of social criticism with a strong political dimension. 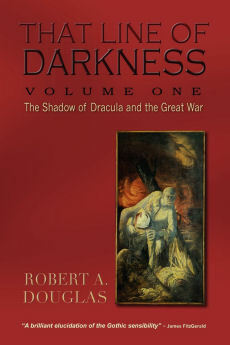 Despite the abundant employment of Gothic tropes—the presence of the supernatural as ghostly chariots pass through the streets, the dead visiting the living through nightmares, shape-shifting demons; and how terrible historical wrongs can contaminate the present—and a surfeit of literary references that include a catalogue of classic Gothic tales, Oates has a serious purpose in mind. 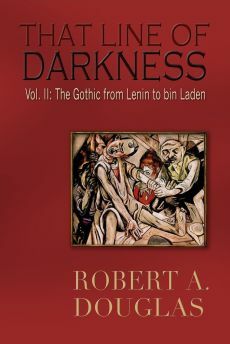 The Gothic elements become a vehicle for her to examine issues that have long engaged her creative energies: the ways in which racism, class prejudice and misogyny can poison a culture and stunt individual growth. The supernatural creatures are symbols for the rapacious ruling class in the Gilded Age, and on a deeper level, they awaken impulses that are already present in individuals compelling them to act. Their presence in Oates’ fiction enables her to explore difference and deviance. The real monsters, Oates seems to be saying, are narrow, bigoted thinking and acting, and the failure to face the darkest truths about ourselves and the choices we've made. Oates’ portrait of Wilson, who is a major character in The Accursed, exemplifies her aesthetic credo. He is depicted as a deeply paranoid university administrator, convinced that his archenemy and academic rival, Dean Andrew Fleming West, is out to destroy him and Wilson is willing to destroy his competitor by spreading rumours that West has dabbled in the occult. 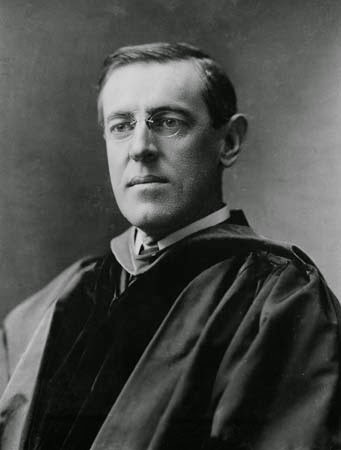 Wilson is depicted as authoritarian who will not allow new ideas to circulate at Princeton and as a sexually repressed hypochondriac who is a drug addict. 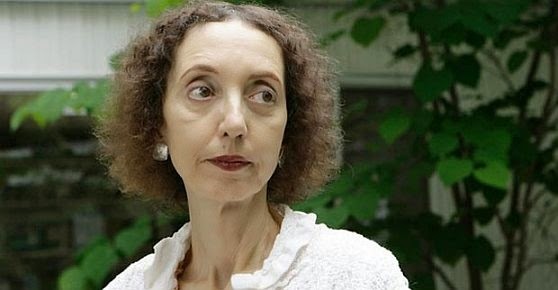 Her portrayal allows Oates to not only mock Wilson’s unsavoury tendencies, but also to explore and critique his position on the social issues of his time. Though Wilson is the father of three daughters, he vehemently opposes women’s suffrage and the enactment of legal rights for women. And when he is asked by a distant relative and junior instructor to protest the lynching of a black man and woman at the hands of the Ku Klux Klan, Wilson refuses—preferring to avoid any controversy that would impede his political ambitions. Indeed, because he fears that there may be a trace of miscegenation in his family, he has the young man fired. Given Wilson’s southern background, his paternalistic and patronizing attitudes toward women, and his fear of blacks and racial mixing, Oates account has a ring of truth about it, even if her representation of him is extreme, or as she says mythical. One of the astute devices that Oates employs is that the “demon” appears in the guise of someone who recognizes his victim’s vulnerabilities. Sometimes its appearance can be humorous. When Wilson speaks in Charleston, after glimpsing in the audience the demon Axson Mayte (whom I will have more to say about later), he finds himself declaiming that America would never be a true democracy “until such time, gentlemen, that a Negress resides in the White House.” Wilson can remember nothing of the speech and everyone else is completely silent on it. On most occasions, it can be deeply sinister: when in Bermuda recovering from fatigue, Wilson becomes enthralled with a pale blond “angel,” a society hostess and femme fatale who (unsuccessfully) tempts him into sanctioning the murder of his academic rival. Another incarnation is the Count von Gneist, whose aristocratic title and “continental” moniker intrigues the lovelorn, socially ambitious local women. A philosophy professor, Pearce van Dyck, is convinced that only the methods applied by Sherlock Holmes can solve the mystery. When a stranger appears identifying himself as Holmes, the demon’s persuasive powers of logical deduction convince the deluded philosopher to murder his baby but because of a timely intervention the infant survives to become the historian narrator. At the center of this spectral tale, spiked with a “frisson of dread,” live the Slades, who can trace their lineage back to Plymouth Plantation. The patriarch is Winslow Slade, a former governor and esteemed religious leader (and spiritual advisor to Wilson) whose fondest joy is to see his four grandchildren grow and prosper. Yet they are all torn from him and he is inconsolable, convinced that a terrible sin in his youth is the cause of their afflictions. Prior to her wedding day, one of them, the lovely Annabel, becomes enchanted (and unsettled) by a charismatic Southern gentleman named Axson Mayte. On her special day, she absconds with him in full view of the church congregation mere seconds after her marriage to the apparently dashing Dabney Bayard. For reasons that become clear later, Annabel is vulnerable to the demon lover’s seductions. Her departure—whether through abduction or a voluntary flight from an unwanted marriage—is the first public manifestation of the Curse. By the time it is exorcised, spouses have murdered their mates, parents have attacked their babies and a plague of serpents has been dispatched to spread panic at a girl’s school. The perpetrators are frequently beckoned toward these monstrous deeds by the malevolent Count von Gneist. Before any of this happens, Annabel is spirited away to the Bog Kingdom, a hellish domain where she suffers repeated rapes while Mayte sneers, "Where is your Slade pride now?" Turned into a servant girl in the cellar, her function is to bail out the sewage. Escaping from this underworld, the runaway bride recounts to her family of becoming a slave. Her ghastly ordeal enables Oates to suggest the distinction between “superior” and “inferior” beings, which recurs regularly, is applicable to skin colour. Racism becomes its own sort of demon that runs as a dark thread throughout the novel. Another demon is class warfare. 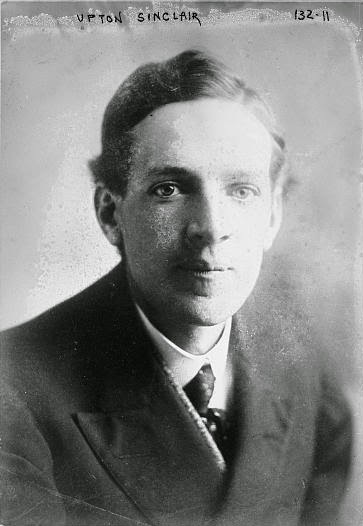 Reformer Upton Sinclair, next to Wilson, is the most important historical character. His meatpacking-industry exposé, The Jungle, has just been published, and he is living with his wife and infant child in modest circumstances outside of Princeton. But his idealism about changing America is no safeguard against behaving badly in his personal life. By neglecting his son and enforcing his own Spartan idealism on his wife and driving her out of the home, perhaps into the arms of a demon, Sinclair is shown to be a sanctimonious prig. Sinclair’s novel makes a much more positive impression on Joshua Slade, Annabel’s brother, the most sympathetically rendered character in The Accursed. Earlier, he heroically prevented the murder of the infant van Dyck and his mother, only to blame himself when the would-be murderer and beloved former philosophy professor dies. Demon voices begin haunting him and urging him to spill more blood. Trying to gain insight into what has happened to his family and the community, he reads several works, including The Jungle, and begins to see his own privileged class as cannibals, dining on the immigrant wretches who labor and die in the mills and meatpacking plants in order to ensure that the “bastion of Caucasian privilege” continues to prevail in Princeton. Oates’ purpose is to force us to recognize that the appalling conditions portrayed in The Jungle are a mirror image of the cruelty toward the “misshapen” wretches who toil and are cast off as rubbish in the infernal Bog Kingdom. When Joshua meets Sinclair in a Times Square restaurant, he ends up brawling with the drunken racist demagogue, the socialist icon, Jack London. Disillusioned with London, increasingly troubled and desperate to escape, Josiah signs up for an expedition to the South Pole where his inner voices return. In a state of desperation, Josiah finally surrenders to the demons within that command him to throw himself into the cold ocean. A story that has wreaked havoc and bloody mayhem for fourteen months on the denizens of Princeton would suggest a bleak outcome. But once the curse is removed, Oates will astonish and reward the patient reader of The Accursed with a cautiously optimistic ending that I do not think anyone could have foreseen. In its closing pages, she has set aside the scalpel wielded to expose social injustice, ideological rigidities and personal shortcomings to allow a new generation to forge a different community with values radically different than their elders. Whether they will succeed is uncertain and beside the point. Their worldview is what we have inherited and our ongoing challenge is to assure that their goals will not be abandoned, particularly when the forces of reaction threaten to reverse recent gains and return us to an earlier time when the privileged elite ignored or repressed the aspirations of blacks, immigrants and women. Her tour de force is perhaps more timely today than had she completed it in the 1980s.